Enjoy a vegan fettuccine alfredo, full of savory sautéed mushrooms, that’s just as creamy and comforting as a classic recipe. 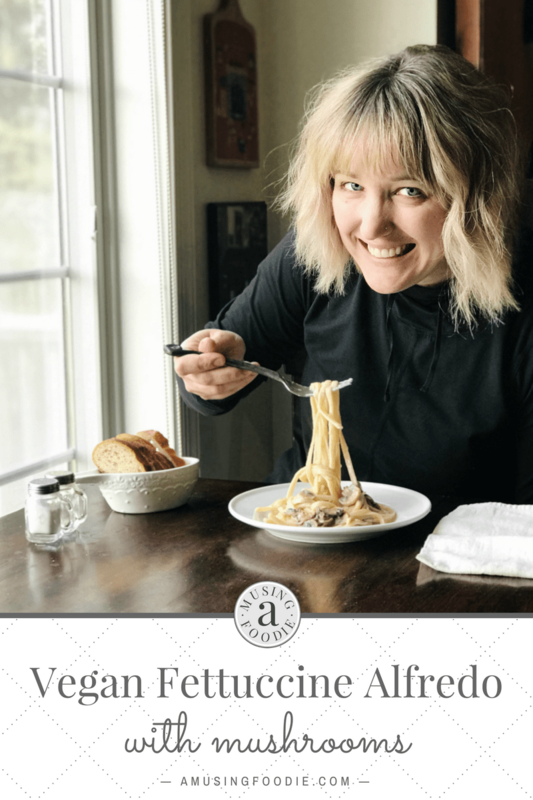 Pasta is one of my go-to crowd-pleasing meals because it’s just as easy to prepare a meal for an intimate dinner for two as it is to feed a party with ten. I also like that pasta’s versatile. If I have guests who are trying to stay away from gluten, then the grains are swapped for gluten-free alternatives. Those who don’t eat meat? No problem. Plenty of delicious vegetarian pasta options, and if I do have folks with a meat craving, then a simple alternative is to serve seared chicken breast or blackened shrimp on the side. When I’m looking for a dairy-free alternative, but don’t want to serve a marinara or olive oil-based sauce, then I turn to Silk® Unsweetened Almondmilk. In addition to being great a dairy alternative for my everyday recipes, Silk Almondmilk also has fewer calories than skim milk (if you’re counting) and no added sugar, and it’s free of dairy, soy, lactose, gluten, casein, egg and MSG. There are also no artificial colors, flavors or funny business (as Silk puts it). In addition to a new ingredient in your recipes, Silk products can be a simple way to take the first steps toward a plant-based lifestyle. Silk Almond Dairy-Free Yogurt Alternative makes an easy grab-n-go breakfast and comes in flavors like vanilla and peach. Small steps can be a very effective and sustainable way to reach a larger plant-based-lifestyle goal—progress is perfection. Back to the pasta. PASTA! The key to making a good alfredo sauce is ensuring there’s enough fat to prepare a proper roux for the base. Without that, your sauce is in danger of either not coming together thick and creamy, or it could “break” after it’s thickened. I find that using olive oil in lieu of butter for vegan recipes is a pretty good alternative. There are vegan butters at the grocery store, as well as other butter alternatives, but I prefer to use what I have on hand in my pantry already. From start to finish, this vegan fettuccine alfredo recipe takes less than thirty minutes to complete. That means it’s perfect for a quick weeknight meal when schedule’s are busy, or allows you to spend more time with your guests if you’re hosting a dinner party. 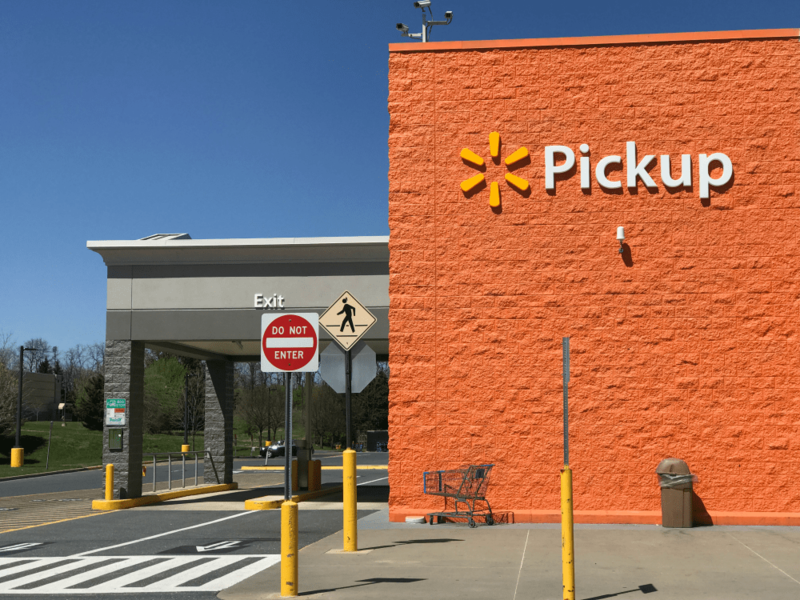 And, if you’re looking for a convenient grocery option to help when life’s crazy, check out the Grocery Pickup option at Walmart. Just place your items in the online cart, check out and then schedule a time to pick them up. Then, getting your groceries is a breeze. Just follow the orange signs in the parking lot and along the pavement to the drive-in area (it’s all clearly marked) and they bring the groceries out already bagged and take care of loading them into your car. 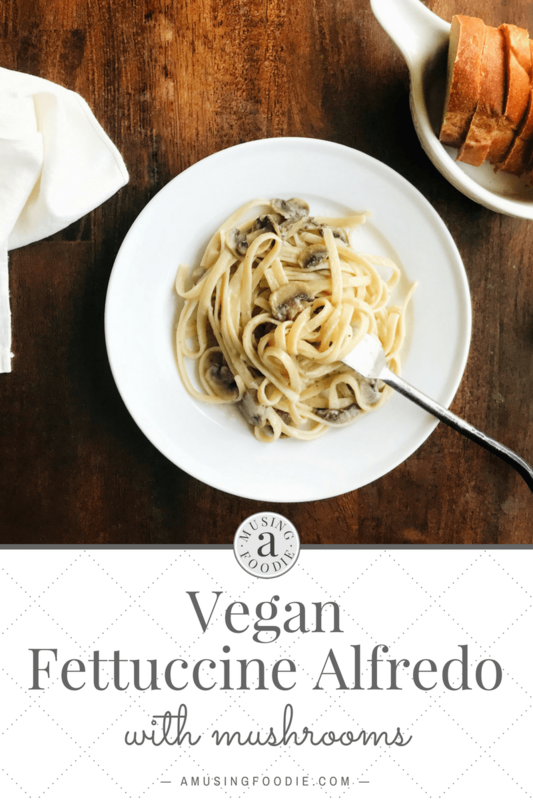 Now, how about that vegan fettuccine alfredo with mushrooms recipe? Enjoy a vegan fettuccine alfredo, full of savory sautéed mushrooms, that's just as creamy and comforting as a classic recipe. Bring a large pot of water with 2 tablespoons of salt to a boil. Add the fettuccine and cook for about 10 minutes, or until it's al dente. Remove the pot from heat, drain the fettuccine and then return it to the pot. Meanwhile, warm the olive oil over medium-high heat in a large sauce pan for a few minutes. Add the mushrooms, stirring occasionally until they've softened and started to brown. Sprinkle 1 teaspoon salt, give a stir, and then let them continue to cook for another minute. Reduce the heat to medium. Add the flour, stirring to coat the mushrooms, and then let it cook for 2 minutes, stirring occasionally. Pour the Almondmilk in all at once and whisk gently, taking care to scrape up any bits at the bottom. Add the remaining 1 teaspoon salt, and the pepper, garlic powder and soy sauce. Increase the heat to medium-high again and bring the sauce to a light boil, whisking every minute. Once it's thickened, remove it from heat and toss with the cooked fettuccine noodles. Serve immediately.